The McKinney-Vento Education of Homeless Children & Youth Program’s request for proposal (RFP) for the next 3-year grant cycle is now available. The intent of the grant program is to remove educational barriers facing children and youth experiencing homelessness, with emphasis on educational enrollment, attendance and success. Approximately $500,000 is available for the 2016-2017 school year. Based on available funding, established need and quality of the proposal, three-year grants will be awarded, ranging up to $35,000 per year for LEAs and $40,000 per year for BOCES. Two identical application training webinars will be held from 9-10 a.m. on March 22 and 4-5 p.m.on March 30. For more information and to access the RFP, please visit the website below. 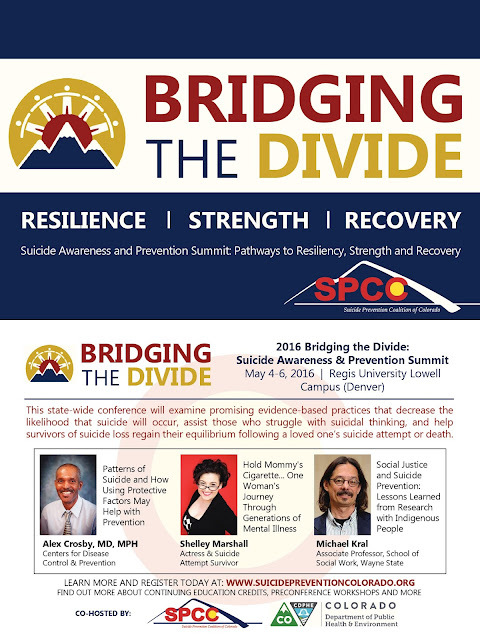 Help kick-off a month of awareness events and prevention activities throughout Colorado! Also included in the toolkit you can find sample letter to the editors, sample press releases, sample event planning guidelines and more!